We recently had the pleasure of getting to know and talk with Registered Dietician Kyle Kamp of Valley To Peak Nutrition located in Boise Idaho. Kyle has been featured on the Hunt Backcountry Podcast presented by EXO Mountain Gear (https://exomountaingear.com/124/), and is an amazing person who decided to make a change in his own personal life after realizing how unhealthy he was and the hardships it was causing. Kyle decided to pursue nutrition and exercise to make a change in his own life, and after losing 140 pounds, he chose to become a licensed and registered dietician as a way to inspire and help others on their own journey. I recently had my own battle with body weight, gaining 25 pounds after my wife and I had our two young children. I love to exercise, but it wasn’t until I chose to make a change in my own nutrition and diet that allowed me to successfully lose the 25 pounds and get back down to my pre-child weight. Eating healthy is hard. Especially if you are a comfort eater, someone who lacks self control, or someone that has specific dietary restrictions such as celiac disease or SIBO (Small Intestine Bacterial Overgrowth). One of the struggles of eating properly is when you are away from your normal life and on adventures in the backcountry. How do you go about continuing to pursue your nutritional goals while at the same time pursue your adventure goals? Hopefully Kyle can shine some light on this for all of us. His company Valley To Peak offers nutrition packages, meal planning, and consulting for those of you that might want help on your journey toward health and happiness. We sit down with Kyle and start to scratch the surface on the topic of backcountry nutrition. WBC: Why is nutrition so important in the backcountry? Kyle: Nutrition is important in the backcountry because when planned right it can mean quicker recovery for both mentally and physically. It can be the difference between feeling ready to go again at first light the morning after a tough hunt, or feeling like all you want to do is lay in the tent for a few extra hours. WBC: Do you look at eating as a necessity or a pleasurable activity? WBC: When making food plans do you look at calories, sugars, fats or something else? Kyle: It depends heavily on what the person’s goals are. There is a vast difference in a nutrition plan for someone going into the backcountry for 10 days with heavy days of hiking and someone wanting to lose 20 pounds three months before hunting season starts. I think calories, sugars, fats, carbs, protein, etc. are all important, but I’d be doing people a disservice to only focus on one of those nutrients. The picture is so much bigger than that. I do use calories when making food plans because it’s an accurate measure of energy and gets me pretty darn close to know what a person needs to perform optimally (or lose weight for that matter). I will then try to determine what the best way is to get those calories to that person to meet their goals. WBC: Is it more important to snack and keep energy levels sustained in the body or eat meals to keep us going? If we think of our bodies and energy stores as a water well, it’s easy to see how keeping the “well” supplied is important. The harder you’re working, the faster that well is draining. If you don’t find some way to fill that well back up, it will eventually run dry and your activity (endurance, namely) will suffer substantially. The absolute best way to ensure that well never runs dry is to continually fill it with the right things. WBC: What are the best types of snacks for the backcountry? Kyle: Snacks are every bit as important as meals; possibly more so. Generally, people eat snacks between their major meals, so they’re a key component in getting people from point A to point B; whether it is a pack in to set up camp, bait a bear site, or pack out a recent harvest. A good general rule is to have snacks with high carb for higher output days and lower carb, higher fat for glassing/rest/low output days. The later would be heavier on the nuts and higher fat meats with high output days focusing more on salted snacks like pretzels, goldfish snacks, and dry cereal. WBC: What are the best type of meals to have with you? Kyle: For me, I think meals and snacks should meet a few criteria: 1. Taste – self explanatory 2. Nutrition – does it provide why my body needs to do what I’m asking my body to do? 3. Digestion – does it sit well with me? It doesn’t matter if it’s delicious with great nutrition if I feel like crap after I eat it. WBC: Ounces vs. calories gets a lot of discussion. What is your advice for the backcountry? Should people be concerned with light weigh meals vs. high calories? Kyle: This is definitely a hot topic. I understand people wanting to carry the lightest amount of weight possible. I’m no different! However, the reality is the body will not perform optimally with the lightest foods (foods high in fat) in situations where we’re really asking it to do a lot of work. Your body will use about 1 gram of carbohydrate per minute of high intensity exercise (i.e. hiking up and over ridges, etc). My suggestion during these type of situations is to increase the carb content, which means – yes – you’re going to have to carry more weight. Calories matter, but where those calories come from matter more in a variety of different situations. 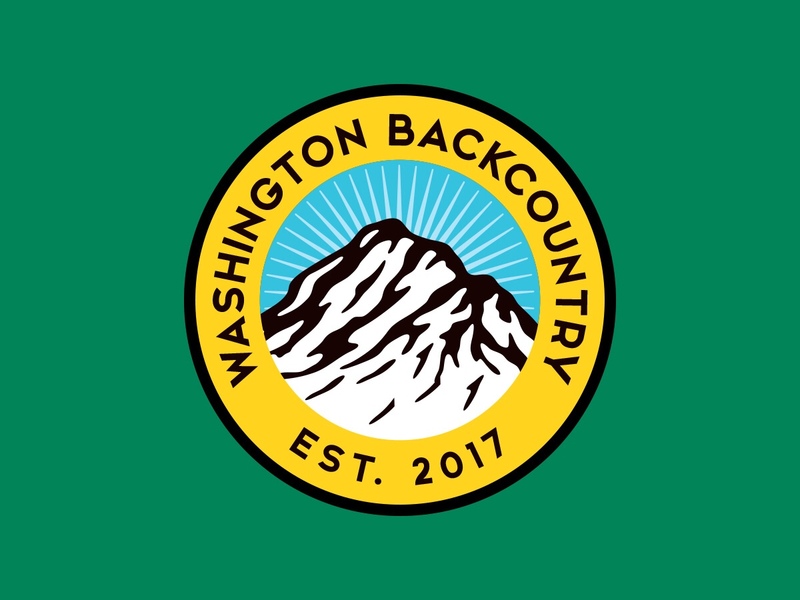 WBC: When preparing meals for the backcountry, what basic rules do you follow? Kyle: 1. I know the area we’re hunting intimately and plan for worst case scenarios (i.e. hiking longer than planned). This allows me to plan my nutrition better. Is it relatively flat with very little high effort hiking? I’m probably not going to throw a bunch of quick-digesting carbs into my pack. Likewise, I will leave the electrolyte mix at home. If the area is steep and I’m anticipating a lot of hiking, I will add both of those in my pack. 2. I’ll plan my numbers. You’re average person needs somewhere in the neighborhood of 6-10g carbohydrate/kg of body weight (kilograms is a person’s weight in pounds divided by 2.2). I’ll then figure a rough estimate on protein needs, which is 1.2g-1.8g/kg body weight. I’ll make sure my meals and snacks meet both of those criteria. I’ll fill in the gaps with foods high in fat. 3. I’ll plan my sources. I now know the numbers, so I’ll figure out what foods I want to provide those numbers. WBC: With the popularity and ease of dehydrated meals, what can be an option in the backcountry for people with celiac and SIBO? Kyle: A brief background on both of the conditions: Celiac is a diagnosis given to people who have diagnosed allergy to gluten. Gluten is a protein found in wheat (and a handful of other grains). SIBO stands for SMall Intestinal Bacterial Overgrowth. SIBO is generally characterized by a person having more bacteria in their small intestine than thought healthy. This generally produces a number of symptoms that all cause a tremendous amount of abdominal discomfort. The difficulty in preparing meals for both of these groups comes when you’re heavily reliant on meals put together by manufactures rather than creating your own. Even if you find a gluten-free grain in a meal, there is a chance they’ve added a component of wheat in the sauce or preservation process (soy sauce is a common one). Backcountry meals for those with celiac disease are relatively easy to plan out given they need only avoid products with wheat, barley, rye, malt, and oats (unless manufactured in a gluten-free facility). The options increase substantially when a person is willing to dehydrate their own meals and pack foods like rice, quinoa and other grains into the backcountry. SIBO is usually made worse by foods that are high in sugar (think soda’s, desserts and the like). Other foods that seem to cause issue are foods high in certain types of fiber like beans, some wheat products, and certain vegetables (cabbage, brussel sprouts, broccoli, etc.) There are certainly others, but these are generally thought of as the most troublesome. It seems obvious, but the hallmark for building a plan in this group is creating a plan that doesn’t include these foods. Other options that possibly work well for folks in this group is a diet low in certain types of carbohydrate (research FODMAPS). We want to thank Kyle at Valley To Peak Nutrition for taking the time to allow us to interview him and for sharing his expertise with all of you. If you want to know more about Valley To Peak Nutrition or possibly have Kyle work on a specific plan for you, then head over to his website where you can get more in depth information as well as contact Kyle directly. Valley To Peak Nutrition can also be found on Instagram at v2pnutrition or on Facebook. Great interview WBC! I appreciated hearing what Kyle had to say. It was a realistic view of nutrition and how it affects our energy in the backcountry! That is also the first I have heard of SIBO. I will be investigating this because it sounds similar to what my wife might be experiencing. Thanks for the comment! I hope this interview sparked something to help your wife! Best of luck. Very helpful information with perfect timing. Now I can properly prep meals and snacks for my next hunting trip with my husband. Glad you enjoyed it and found it useful! Let me know how you guys do! Good luck and happy trails!